Men like looking sharp and being comfortable in their clothes, but aren’t always the biggest fans of shopping. Thoughts of being dragged to a mall during a football weekend and having to try on different outfits doesn't sound like a good time to every guy. However, since new brands are always appealing, one has attempted to put style, comfort, and being environmentally friendly all in one clothing package. Bensly has a line of menswear that includes boxers, t-shirts, sweatpants, and more, but it’s not just the traditional fare. They believe clothing companies should take on the responsibility of combating environmental pollution. After all, it’s ultimately a choice these companies make in terms of farming materials and dyeing fabrics, and luckily, more and more companies are investing in their business and the environment with their decisions. That’s why Bensly has gone the environmentally conscious route. They grow Tencel fiber that comes from Austrian eucalyptus trees in places that aren’t suitable for crop production. 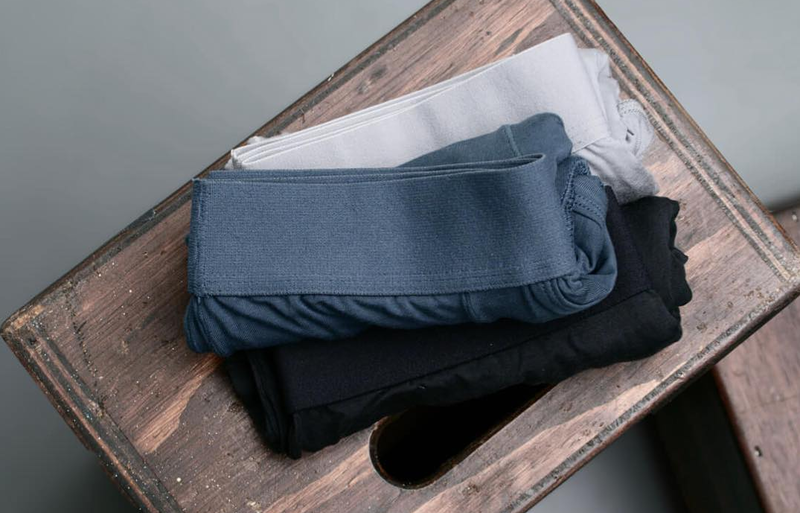 According to the official website, “Tencel is softer than silk...more absorbent than cotton, and it’s more breathable than linen.” It’s able to stretch out and doesn’t wrinkle like traditional t-shirts. Due to their breathability, this Tencel fiber can also manage sweat better. Moisture will evaporate quickly and it will eliminate potential for bacteria to form. It’s naturally anti-microbial and doesn’t contain harmful chemicals often found in clothing. This is part of their “Elite Series,” which has fitted tees and boxer briefs. Pima cotton is farmed in America and it was chosen due to the ability to thrive in desert climates. According to Bensly’s website, “it can take more than 1,00 gallons of water to produce a single pound of cotton fiber.” That isn’t the case with this cotton, and similar to Tencel, it’s incredibly soft to the touch. This cotton is part of their “Core Series,” which is their line of sweatpants, shorts, and hooded sweaters. Dress it up, down and everything in between. This tee breathes better than linen and feels softer than silk. Bensly launched a Kickstarter campaign back on August 1st that’s already well above its initial goal of $25,000. They currently have deals for select products, such as $22 (instead of $28) for boxer briefs and $56 (instead of $70) for the fitted t-shirt. These are considered luxury items, so the costs are higher than in some department stores. However, the company does offer free shipping ($20 shipping for those outside of the US), a 100-day trial period, and free boxers for spending over $200 on apparel.